The quality you get from CAPITAL SIGNS & AWNING will have you in awe. 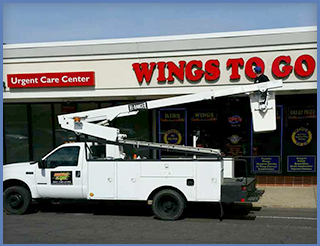 When you choose us, we make sure to provide top-tier signs and awnings in Beltsville, MD, and in the Washington, DC area, to keep your business on top. 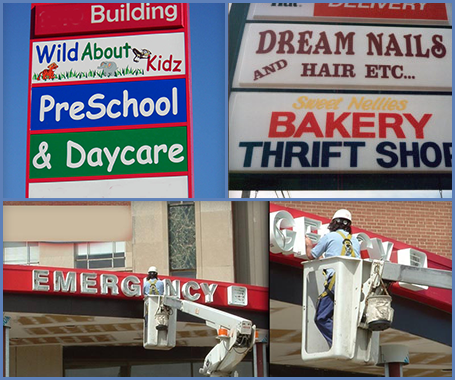 Whether you need a new sign, an old one restored, or something different, we can meet your needs from beginning to end. We create, build, and install fixtures with excellence in mind. Stand out from the crowd with services from our team. It normally takes two weeks to complete a custom sign design service depending on its size. The turnaround could extend to six weeks, which is still quick for our industry. Pricing is determined when we come to the site. Since every sign and every location are different, we are happy to offer a customized quote. You don't have to purchase a sign to have us remove an old one. We have two lift trucks and a crane to accommodate your needs. For more information on our services and pricing, contact us today!